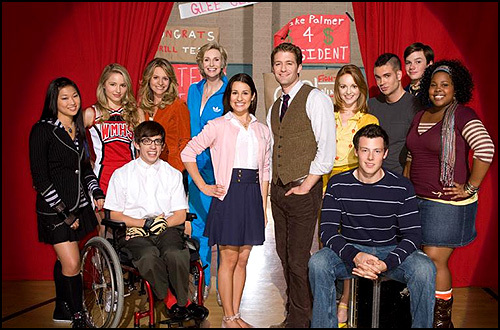 pilot episode was filmed at two different Southern California high schools, about 30 miles apart. 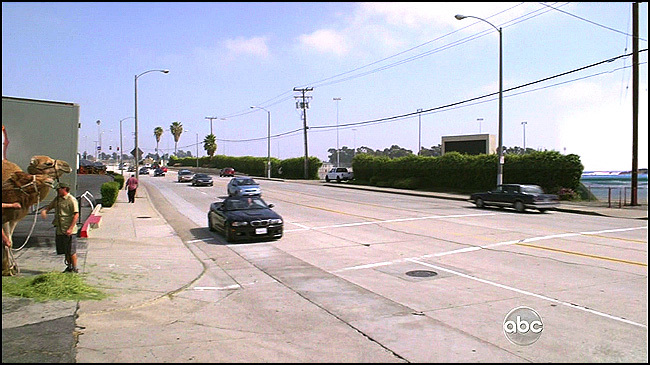 were filmed at Juan Cabrillo High School, at 2001 Santa Fe Ave, in Long Beach, CA. John Burroughs High, at 1920 W. Clark Ave, in Burbank, CA. Bernstein High School, at 1309 N. Wilton Place, in Hollywood. at 2700 Colorado Blvd, Los Angeles (where the Ventura & Glendale freeways meet). 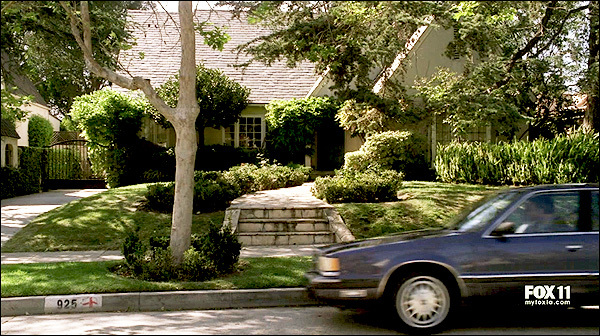 At the end of the 2011 season of the Fox show "HOUSE", Dr. House (Hugh Laurie) drove his car through the front of his ex-girlfriend's (Lisa Cuddy's) house. Cuddy's house, like the rest of the show, is supposed to be in (or near) New Jersey. But it's not. This particular house is actually just a few blocks southeast of LACMA and the La Brea Tar Pits, at 925 Dunsmuir Ave, Los Angeles. Here's a Google StreetView panorama of the house. but what you're looking at is actually the Exposition Park Rose Garden, in Los Angeles. Museum of Science & Industry (AKA the California Science Center). at 700 State Drive, Los Angeles. Naturally, it's not really in San Diego. It's in Los Angeles, of course. But where, you might ask? Well, that depends upon which Sunshine Center you're looking for. Besides the fact that it shifted from green & aqua, to red & blue, that is? by a computer on top of an image of a real arena. But which real arena? 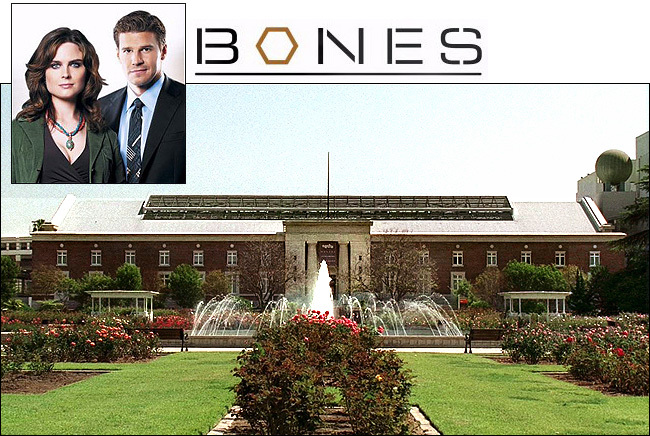 in Exposition Park, at 3939 S. Figueroa Street, south of downtown, L.A. 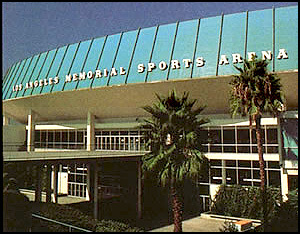 The second photo shows us The Forum, at 3900 W. Manchester Blvd, in Inglewood. But wait, there's more Hollywood trickery afoot. 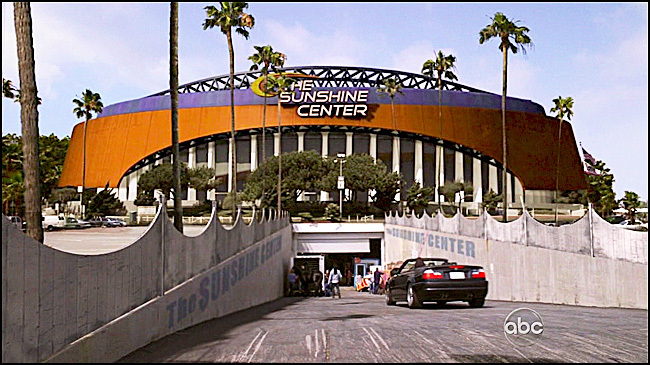 that leads under the Sunshine arena? That shot first shows an ocean view across the street. Don't be fooled. More CGI. There's no ocean view anywhere near this street. 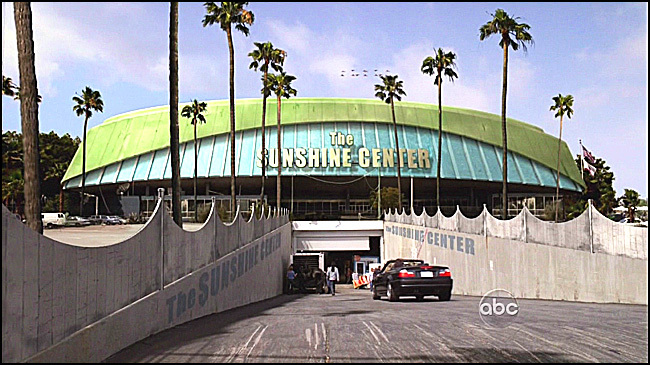 they used the same Forum driveway for both Sunshine Arena shots. Here's a Google StreetView panorama of the same street view. And here's a Google StreetView panorama of the Forum driveway. nowhere to be seen in photos of either area. So it appears to have been added it as well.